When it comes to ice and snow, the best defense is to be prepared. Here are some expert tips on the tools and equipment—and best use practices—that should keep you safe and sound this winter. The severity of this winter has surprised many parts of the country. With more storms on the way, many homeowners are better preparing themselves, stocking the garage with everything necessary to handle snow and ice. These tools are readily available in stores; it’s only a matter of knowing which are essential to own. For manual snow removal around the house, the experts recommend that you employ a mix of shovels, pushers, scoops, rakes, and scrapers. “Use a shovel to lift and throw snow that is too deep or heavy to bulldoze using a pusher. A pusher is best for drier, lighter snow that can be efficiently bulldozed off the sidewalk or driveway without the ‘scoop-and-throw’ motion of a shovel,” says Joe Saffron, senior director of marketing at Ames True Temper. 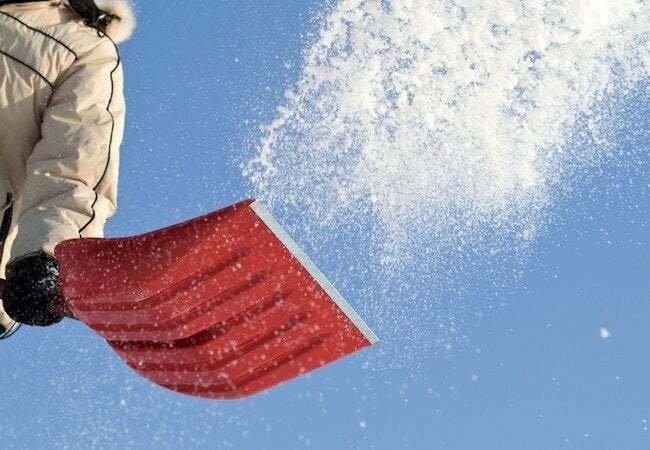 “A roof rake helps clear heavy snow from a rooftop in order to avoid structural damage to your home. Some (like the True Temper telescoping roof rake) allow for quick extension and easy reach, without the need to get out the ladder,” Saffron continues. Heavier snow calls for heavier equipment. That’s where snow throwers come in. Of course, there are many makes and models from which to choose. 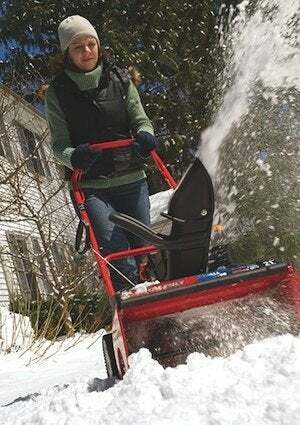 If you are shopping for a snow blower, consider a variety of factors—the type of surface you will be clearing (i.e., concrete or gravel), the shape and length of your driveway and/or walkway, and how much snow your geographical area typically receives (as well as what consistency that snow is). Whatever snow removal tools match your needs and family budget, be sure to read the owner’s manual so that you understand how to properly and safely operate the equipment. Finally, once you have managed to clear the snow away, think about investing in a low-tech solution to deal with slippery surfaces: a little bit of salt or sand can help increase traction, making approaches to and exits from your property much more manageable for family and guests.